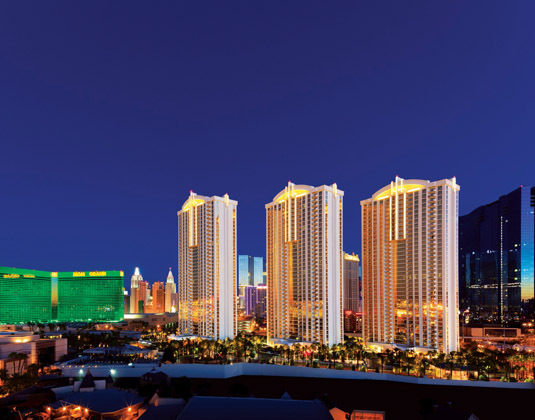 This luxurious non-gaming, all-suite hotel is adjacent to the MGM Grand Hotel & Casino, offering three towers of deluxe suite accommodation. Its location puts guests right in the heart of the action of the MGM Grand, whilst its separate entrance and arrival area for guests offers a luxury feel. In Signature deluxe suites with TV, DVD & CD players, coffee maker, hairdryer, iron & ironing board, safe, sitting area, kitchenette and jacuzzi baths in the bathroom. 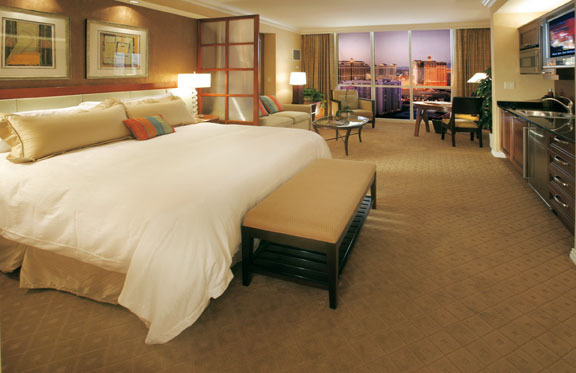 Some suites also offer a balcony overlooking the Strip.